There is a pervasive notion that man does not need God to be good. Some even contend that belief in an absolute is an impediment to moral progress. They see right and wrong as malleable concepts that have evolved over centuries and are continually being perfected by an enlightened vanguard. Behavior that was considered acceptable just a generation ago is no longer permitted today because we now know better. And we are far more civilized than our barbarous and superstitious ancestors. Society is continually improving on what is considered appropriate conduct and this progress is making the world safer and more humane. So it is believed. For right and wrong to mean anything, however, they must be measured against an immutable standard. Cultures vary from one another and they also change over time but the only way to judge which practices are better than others is to compare them to a standard that does not change. And whether they realize it or not, those who are continually trying to perfect morality are still using some semblance of this standard, otherwise they would not advocate a moral position at all. As the Apostle Paul explained, it is the natural law that is written on our hearts that bears witness through our conscience. Thomas Aquinas later wrote that adherence to this natural law is the rational creature’s participation in the eternal law and that its general principle cannot be blotted out. But he went on to say that our understanding of natural law can get distorted with regards to particular actions when it is hindered by passions or vicious customs and corrupt habits, which result in a failure to see certain vices as wrong. This is the hardening or searing of conscience that Scripture warns against. The uncertainty of human judgment, Aquinas contended, is one reason why divine law is necessary. Without it, man’s best attempts at reason fall short of achieving justice. In our fallen state we cannot consistently affirm rules of conduct that would seem obvious, like protecting the most vulnerable members of society. We cannot even agree on the moral imperative of protecting our own children. Consider, for example, how the least among us were treated during a time of unprecedented intellectual and cultural achievement. O.M. 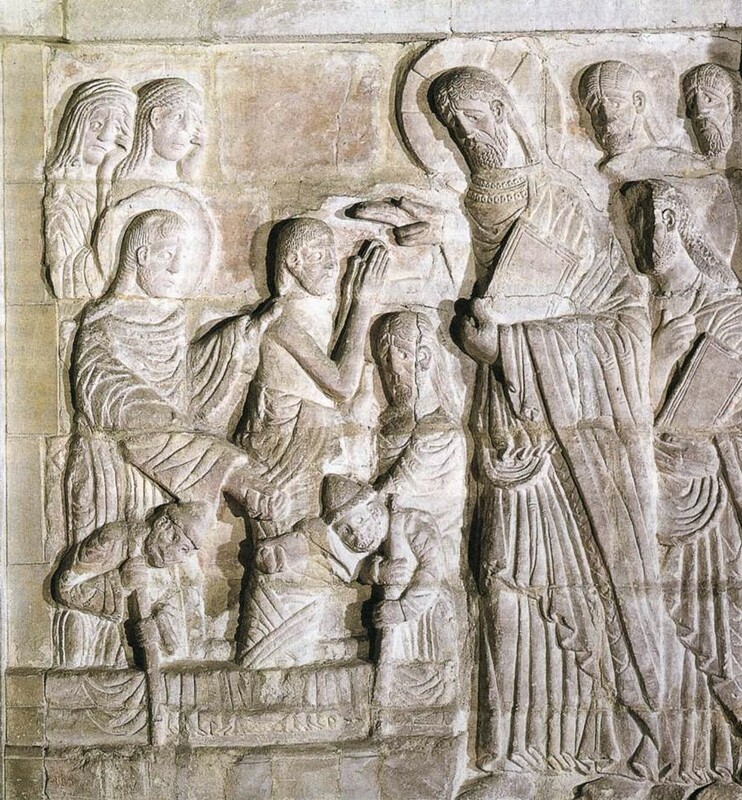 Bakke’s book, When Children Became People: The Birth of Childhood in Early Christianity, provides a disturbing look at the brutality directed towards children in the pre-Christian Greco-Roman world, while reason was flourishing. The ancient Greek and Roman philosophers, who helped lay the foundations of Western civilization, nonetheless treated most members of their societies as less than human. Plato, whom C.S. Lewis praised as “no ordinary pagan” on account of his understanding of metaphysics, equated women and slaves with animals. Among the most educated, children were synonymous with stupidity and irrationality, symbols of human weakness. Cicero argued that children should only be praised for their potential qualities: “The thing itself cannot be praised, only its potential.” This position, according to Bakke, defined the prevailing view throughout classical antiquity. Children were objects that had not yet achieved personhood and therefore were to be used however one saw fit. From conception, babies in the ancient world were in mortal danger. Abortion was widespread, complications from the procedure being one of the most common causes of female death. It was not fashionable for aristocratic women to want children and it was common for poor women to terminate their pregnancies for economic reasons. Legislation began to criminalize certain aspects of abortion from the second century onward but, according to Bakke, it was never out of concern for the intrinsic worth of the baby, only for respect of the rights of the father. All of the evidence shows that abortion was never seen as anything worse than a bad example because it was a hindrance to perpetuating the family name. Exposure was practiced by all classes for all manner of reasons. Of course, girls were more at risk than boys, being seen as inherently inferior. Scholars have reconstructed six hundred families from the inscriptions in ancient Delphi and only six of these families had more than one daughter. Babies that exhibited any noticeable deformities or appeared weak in any way were also likely to be exposed or killed outright. According to Seneca the Younger, such children were commonly drowned in the first century. Bakke explains that “the physician Soranus [writing in the second century] gives a long list of the criteria (some of them rather strict) a child must satisfy in order to be considered healthy enough to be allowed to grow up.” In what appears to be evidence of infanticide, Bakke cites the findings of archaeologist Lawrence E. Stager, who helped excavate a sewer in the Mediterranean city of Ashkelon that had been clogged with refuse in the sixth century and found the bones of nearly one hundred babies. Even healthy children were sacrificed for the most inane and wicked of reasons. Poverty was often used as a justification and so was illegitimacy. Some children were killed to appease an evil deity or out of superstition. Plutarch records parents burning their babies alive to honor Cronus or Saturn, in the same manner that their pagan ancestors sacrificed to Moloch. It was not uncommon for the Romans to expose their children as a protest against the gods in response to events that people felt were gravely unjust. Bakke writes that “according to Suetonius, one of Augustus’s freedmen claimed that the Senate had issued a law in 63 BC because of an ‘evil portent,’ forbidding parents to raise the boys born in that year.” The same historian, Seutonius, records that when news spread of the death of Germanicus, the popular prince and father of Caligula, some parents reacted by killing their own children. Bakke notes that no law forbade the exposure of children until the reign of Emperor Valentinian, in 384 AD. But passage of that law had nothing to do with concern for children but fear over how a dwindling population would harm the empire. Of course, not all babies who were exposed perished. Some were rescued from imminent death by passersby. These rescues, however, were not acts of charity. The babies, or foundlings, as they became to be known, were saved only to be forced into slavery or prostitution. There was a widespread belief that character development was merely a biological development, not a process whereby desirable qualities were instilled through upbringing. Those who did mentor young people regularly inflicted harsh physical punishment, both at home and at school, as Augustine famously recalls from his own childhood. But this was not the darkest aspect of being a kid in the ancient Greco-Roman world. Bakke claims that pedophilia was seen as natural, something that young victims simply had to endure. He contends that the ancients did not make a heterosexual/homosexual distinction and the notion of consent and protecting minors did not exist. Freemen were expected to initiate sexual relations with both women and children, sometimes even with their own children, who were seen as passive actors who had no say in the matter. There is one reason why cultural acceptance of such depravity remains unthinkable today: the profound influence that Christianity has exerted over the last two thousand years. The Mosaic Law was a light that pierced the darkness of human wickedness. While it condemned, its moral clarity was “sweeter than honey” to those who received it. For a world in despair, it was truly the only thing new under the sun. This divine law was fulfilled in Christ, whose redemptive work conquered sin and death. The earliest Christians understood that man is made in the image of God and that through Christ he has eternal significance. This wisdom had deep roots in Judaism. Unlike the peoples who surrounded them, the Israelites condemned abortion, infanticide, exposure, and all other forms of child sacrifice, seeing them as a direct violation of the sixth commandment. The Jewish writer Philo, born in 25 BC, declared that murdering your child was “the worst abomination of all.” Bakke cites scholarship that claims “Abortion in the early stages of pregnancy, ‘on demand’ or as a means of birth control ‘is very likely not even contemplated in the Mishnaic law.’” He concludes that “Jewish law emphasized the profound immorality of killing a fetus, irrespective of the state of its development: this action was classified as murder.” Another early Jewish writer, Josephus, born in 37 AD, wrote extensively on the welfare of children. Compassion for the most vulnerable was embodied in the life of Christ. The Son of God came as an infant, bestowing inestimable worth on all of creation by first humbling Himself in the form of a little one. He confounded the most educated religious leaders of the day by welcoming children with open arms while explaining that the purity and sincerity they exhibited are necessary to enter the kingdom of heaven. Christ showed the intrinsic worth of children to a world that had discarded them. It is no surprise then that cruelty toward infants and children was condemned by Christian theologians, right from the start and in the strongest possible terms. Bakke quotes Clement, who wrote that abortion was murder and “against all human kindness.” In his Apology, Tertullian, born in 155 AD, declared that all forms of killing -- infanticide, exposure, and abortion -- are prohibited by Christians: “But with us, murder is forbidden once for all. We are not permitted to destroy even the fetus in the womb . . . It makes no difference whether one destroys a soul already born or interferes with its coming to birth. 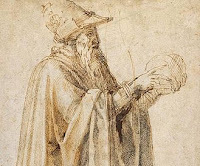 It is a human being and one who is a man, for the whole fruit is already present in the seed.” Tertullian argued theologically, philosophically, and empirically that the fetus has a life of its own and he anchored his objection to abortion in the Mosaic Law. That position was at odds with Roman law, which held that the fetus was not a person but a part of the mother. Early Christian opposition to exposure was noted in the Letter to Diognetus, a Greek apologetic text from the second century that is included in the writing of the apostolic fathers, which states that unlike the pagans, “Christians do not expose their offspring.” Bakke finds no evidence to the contrary, noting that “No source in the time before Constantine tells us that Christians practiced the exposure of children.” Doctrinal opposition to all forms of child endangerment remained consistent and theologians devoted considerable time and effort expounding on the best ways to develop children into healthy and contented adults. Bakke cites the work of later Christian writers, such as Gregory of Nyssa, Augustine, and John Chrysostom. Christians were expected to make many sacrifices to ensure the spiritual and physical wellbeing of their children. There was no parallel to this effort in the Greco-Roman world. It is a mistake to see the vast improvement in the way parents cared for their children as a gradual sociological process that accompanied modernization. It occurred in an instant, through the words and actions of Christ, which spread like wildfire. As Bakke explains, pagans did not even consider their offspring to be people. 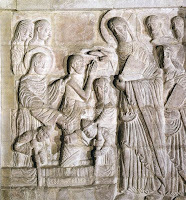 Christianity introduced the very notion of children to the Greco-Roman world. Morality is not an evolutionary byproduct derived from centuries of refined human reason. It comes from one source. The protections afforded the most vulnerable today are vestiges of a Christian culture. If one doubts this, consider the moral confusion of our post-Christian culture. Intoxicated with empiricism, intellectuals in the west have made science the final arbiter of truth. Putting aside whether science can even survive apart from its Christian presuppositions (a question deserving of separate consideration), the elevated status of the discipline is absurd. As G.K. Chesterton quipped, “Science must not impose any philosophy, any more than the telephone must tell us what to say.” Examining and manipulating the physical world does not qualify one to render moral judgment. And yet we increasingly turn to biologists for answers to life’s most important questions because we have mistakenly reduced our entire existence to materialistic causes. The results have been disastrous. By denying God, we deny our own intrinsic value and become dispensable. There have been more than fifty million abortions in the United States since 1973. According to the World Health Organization, there are more than fifty million abortions performed every year around the world. Abortion advocates invoke the same language as pre-Christian pagans, arguing that fetuses are not people. Our leading ethicists, thought to hold the most enlightened and progressive views, parrot the views of the ancients by contending that euthanasia is appropriate for newborns and children in certain circumstances because they lack the rational faculties of adults. Jerry Coyne, professor emeritus of ecology and evolution at the University of Chicago, says we should be legally permitted to kill suffering infants in the United States, just as we do cats and dogs, and he predicts that this practice, along with euthanasia for adults, will be widespread once religion vanishes from the earth. With terrible irony, today’s ethicists invoke the moral high ground, while arguing that killing the patient, or the healthy person who simply wishes to take his own life, is the compassionate thing to do. Nitschke’s dark vision is becoming a reality. As Smith notes, doctor-administered lethal-injection euthanasia is now legal in six foreign countries and doctor-assisted suicide is legal in at least parts of four more, including six U.S. states and the District of Columbia. The Netherlands is at the forefront of this movement where more than 6,000 people’s lives are extinguished each year. Since the Dutch first legalized assisted suicide in the 1970s, the range of killable people has greatly expanded. It now includes people of all ages with conditions like tinnitus, alcoholism, or depression. An elderly woman was euthanized for macular degeneration, as was a young woman who had anorexia. Patients that are euthanized have their organs harvested. In Belgium, euthanasia has become an option for elderly couples who do not wish to face widowhood. In one case, this was initiated by the son of an elderly couple who explained that this was the best thing because he did not want to care for his own parents. Smith has documented cases where patients have been euthanized against their will. All peoples possess an innate sense of right and wrong. As Aquinas explained, the natural law cannot be blotted out. But the farther a culture strays from divine law, the more distorted its understanding of natural law becomes. This is because reason itself is contingent on the transcendent being “who is over all and through all and in all.” By rejecting Him, reason looks more and more like a meaningless abstraction. In such an environment, justice and compassion are scarce. God set before the Israelites a choice between life and prosperity or death and destruction. He instructed them to choose life, so that they and their children would live, that they would love the Lord their God, listen to His voice, and hold fast to Him. For the Lord is life. As Christ explained, “For whoever wishes to save his life will lose it; but whoever loses his life for My sake will find it.” We would do well to heed this advice. Nearly everyone expresses gratitude on Thanksgiving. Regardless of your beliefs or your situation in life, all of us can find someone or something for which to be thankful. Giving thanks is a natural response to kindness or good fortune. People do it reflexively, without considering the implication of such an act. But if one does consider the implication, he will come to the realization that it is showing appreciation to God. On its face, this may sound like a stretch. After all, an atheist can be grateful for the people and things in his life without believing in God. But where did those people and things come from? Who gave him breath? Did he and the loved ones in his life self-generate? What of the material world? Did it come from nothing? The only logical answer is that all has been created and sustained by a transcendent and omnipotent being, the God described in Scripture. An atheist, by definition, must reject this answer and hold fast to the belief that we did self-generate, that everyone and everything came from nothing. In doing so, they can choose to give thanks for only who and what they can see, the people and things in their life that bring them joy and comfort. While it does not make sense to give thanks to non-sentient things, they can be thankful to the people in their life who have shown love and kindness to them. And their gratitude can end there. This position, however, is problematic for another reason. If everyone is simply the byproduct of an undirected material process, then everyone is controlled by that process. This includes our thoughts and actions. In a materialist worldview, free will does not exist. Human beings are randomly hardwired organisms that have no say in the matter (no pun intended). And if one believes this, it makes no sense to be thankful to the people in your life. They are who they are and have done nothing as individuals to be kind or benevolent or courageous. None of their desirable qualities originate from a rational calculus and they could just as easily be sociopaths if the laws of nature had operated differently. Atheism contradicts itself on its fundamental assumptions and is therefore invalid. Nevertheless it has grown in popularity as modern man seeks complete autonomy from nature and God. In a sad and pathetic irony, this has led to the embrace of a materialistic determinism that denies all freedom and eliminates any reason to give thanks. Of course, no one can live like this. An ideology that is at odds with reality cannot be sustained. Atheists cannot help but be thankful for the beauty and goodness in their life. This gratefulness arises involuntarily. But the sentiment is stillborn, severed from its source and suppressed by their ideology, leaving them confused and cynical. It is not a coincidence that secular culture is increasingly defined by sarcasm, ingratitude, and despair. In perfect contrast, Christianity contains none of this contradiction or confusion. The Christian can logically be grateful for both the people and things in his life because everyone and everything is created by God, “from whom all things came and for whom we live.” Man is made in the image of God, endowed with the freedom to give thanks to the creator and to choose good over evil (which is merely the negation of good). As the Psalmist declares, “It is good to give thanks to the LORD.” Doing so acknowledges the source of all goodness and, in turn, helps one find his proper place in the created order. Giving thanks to God is conforming to reality, which is the only way to find lasting happiness. Unlike an atheist’s involuntary and fleeting expressions of gratitude, Christian thanksgiving is a conscious action that is not dependent on circumstance. It is an outpouring of gratefulness that the dreadful suffering of our fallen world cannot destroy because Christ has overcome the world. The victory is won. He has conquered death. Being truly thankful is an immutable state of mind that is grounded in eternal truth. It is a joy that atheists cannot share or understand. Death is the starkest and most painful reminder that nothing in this world is permanent. Not that we should need a reminder. Everything -- our minds, our bodies, our relationships, our physical surroundings, the entire universe -- is in a constant state of change. All is in flux. We are born into this state and quickly learn to accept it, even embrace it. In a contingent universe, change is essential. We are dependent on it not only for our development but for our very survival. It is integral to our temporal existence. Nonetheless, it carries powerful emotions, as anyone who has watched his child grow or witnessed the death of a loved one can well attest. Change may be the most natural thing but it strangely feels like the most unnatural. We are often surprised by it, caught unaware that something we expected or hoped to be around forever has been lost. Such sentiment seems illogical, for it contradicts everything we know about the world around us. Scripture addresses this great contradiction by explaining that God has appointed to everything a season but has also planted eternity in our hearts. Despite being flawed and finite creatures surrounded by a world in decay, we have an innate sense of the infinite that cannot be eradicated. It is an irony that makes perfect sense. A contingent universe must have an extrinsic cause. There is no logical alternative. The material world did not (and cannot) create itself. As dependent beings that are part of the material world, we are reliant upon an eternal and unchanging God for our every breath. Deep down we understand this truth and long for the permanence of the creator. In less than two hundred years, the theory of evolution has grown from simple observations of wildlife into a biological explanation of all living things to the epistemological foundation of everything we know about ourselves and the entire universe. Materialism -- the belief that nothing exists outside of the physical universe and that man is merely the chemical byproduct of an unguided process no more complicated than matter plus time plus chance -- is now the prevailing worldview of our culture. Nearly every institution that speaks with authority religiously clings to it. It is an inherently flawed dogma that has profound philosophical and practical implications on every aspect of how we think, how we choose to live, how we treat others, and how we raise our children. Darwin’s theory of natural selection forms the basis of modern biology. Organisms with the best traits for survival produce more offspring, which results in change within species that makes them more resilient over generations. The theory is applied more expansively to explain change between species, making natural selection the mechanism for the incremental development of all life, from the simplest cell to modern man. Critics claim there is a lack of evidence to support macro evolutionary change and point to problems such as the irreducible complexity of even the simplest organisms, the inability of the theory to explain human consciousness, or even language. While their objections have grown into a sizable body of research, they remain in the distinct minority and are largely mocked by the broader scientific community. If nothing else, those who critique evolution on purely biological grounds force the scientific community to more rigorously defend entrenched positions that have gone largely unchallenged. Such critiques do not, however, address the fallacious way in which the theory of evolution is mistakenly used as a philosophical explanation for the creation of the universe. When employed in this way, the theory violates its own presuppositions and is rendered invalid. Evolution is silent on the origin of life. It only offers an explanation of how life developed. In other words, the acrimonious debate over evolution is irrelevant to the fundamental mystery of creation. On the question of where matter came from in the first place, the best science can offer is its own sterile restatement of the Genesis account: in the beginning, there was a big bang. But this version of creation lacks an eternal deity so it is just another way of saying that something came from nothing, a notion that is ironically at odds with science itself. Absent a creator, evolution is an undirected process that sprang up out of nowhere. Its origin cannot be understood empirically, and metaphysically, it is illogical. But even if one is able to put this fundamental problem aside, another problem arises. Without a creator, the entire universe, including man himself, is simply the mindless and accidental result of this biochemical process that somehow began on its own. By definition, it is a process devoid of reason. But if we are merely a byproduct of a process that is devoid of reason, we cannot use reason to make an argument for the validity of that process. In other words, materialists have no way to determine whether evolution is true. Their worldview asserts (even though in cannot logically assert) that there is no such thing as truth. Materialists have unwittingly invalidated not just the theory of evolution but the entire basis on which we can know anything. Their worldview is not only devoid of reason but also of right and wrong. Its empirical foundations and conclusions are nonsense and it offers no normative guidance on how we should live. And yet it is a philosophy that has been given a central place in our culture. Is it any wonder that the modern world is unraveling? The ability to reason separates man from the animals and gives him dominion over all of the earth. Simply put, it is the most important attribute we possess. With it we can create or conquer, protect or destroy. Reason allows us to unravel the workings of the physical universe and gives us the ability to discern natural law. It makes us self-aware, forcing us to ponder our own existence and the origin of it. The answer to this question determines not only where we came from but where we are going and how we choose to live. And on this critical question, reason does not leave us in the dark. Understanding the things we all have access to, namely ourselves and the world around us, leads to the undeniable conclusion of the existence of God. Perhaps the most basic way to reach this conclusion is the ontological argument, which dates back at least as far as Aristotle in the 4th century before Christ. The argument has been pondered by philosophers and theologians for centuries. Thomas Aquinas may have the most concise and famous form of it. Contemporary Norman Geisler provides a thorough version of it. While it builds on a set of premises that should each be rigorously examined and understood, the entire proof can be curtly expressed like this: you exist, therefore God exists. Here is my paraphrase: being cannot be denied without contradiction. If one claims not to exist, he is asserting that claim using his own existence. Now, being is distinct from non-being. Something is not nothing. Furthermore, something cannot come from nothing. It is also known that man and everything in the universe is dependent on something else for existence. That something, by definition, must have an independent nature that is unchangeable. In order to have created everything and to sustain it, the independent entity must have several attributes, among these are it must be immaterial, infinite, omnipotent, and omniscient. This theoretical conception of God aligns with only one worldview: Judeo-Christian revelation. The ancient Israelites did not sit and ponder an abstract divinity using metaphysics. They encountered divine intervention that has been recorded in the writings of their patriarchs and prophets. That intervention, impressed upon a nomadic tribe of outcasts, was unlike anything the world had ever seen. It, and it alone, revealed a God that has the exact same attributes as the conjectural version of the creator that philosophers would later derive on their own. No other religion describes such a God. Their revelation foretold of the Christ who would embody these attributes in the flesh in order to redeem humanity. These are the two pillars that point toward God. One is derived from “what has been made” and is built entirely on logic. It is a theoretical model of what God must look like based on what we know about ourselves and the universe around us. The other is divine revelation, which transcends reason but nonetheless can be understood through it. God's word has withstood unrelenting attacks by skeptics from the onset. For thousands of years it has been vindicated, time and again, by its own transforming and prophetic passages and the historical record. Scripture describes, in inexhaustible detail, who God is and our relationship toward Him and our fellow man. Both of these pillars are in perfect harmony with one another and both perfectly explain reality. These are the limits of reason. It is not a failing of it but of us. When we reject God, we are also rejecting reason itself. We lose our ability to think rationally and neither logic or history can change our minds. As Jesus explained, “If they do not listen to Moses and the Prophets, they will not be convinced even if someone rises from the dead.” We substitute “darkness for light, and light for darkness” and the only perfectly reasonable answer to existence appears to us as foolishness. Fortunately it is not always this way. “Come now, and let us reason together, though your sins be as scarlet, they shall be as white as snow,” says the LORD. He promises that all those who diligently seek will find, through the help of His Spirit. This has been true for so many skeptics whose intent was to disprove Scripture but did so with a sincerity and earnestness. In doing so they received life and the world around them began to make sense. There is nothing more fundamental or more perplexing than the question of existence. Pondering it can be so overwhelming that many have never given it serious thought. Even in the current information age, with more knowledge available than ever before, many people simply refuse to look for an answer to the origin of their own consciousness and instead bury themselves in endless diversion. If one does search for an answer to why he is here, he will discover that the possibilities are very basic. What follows is unoriginal. It is actually a terse summary of all the contributions that every culture in the history of mankind has offered to this most fundamental question. Study every philosopher, poet, and priest in the whole of recorded history and you will discover that there are only three possible answers to the mystery of existence: something came from nothing, the universe has always existed, or a deity created everything. Now, beyond mere words the notion that something came from nothing is inconceivable to the human mind. We can think as hard and as long as we like about nothing but grasping the concept is simply not possible. Scientists talk about anti-matter and black holes but that is about as far as they can go. When we remove everything that we can, as has been tried with vacuum experiments for thousands of years, something always remains. Using the big bang theory, some cosmologists now believe that the universe was at one time composed of merely the laws of physics. But they are at a loss to explain the origin of the laws of physics. Even if nothingness could be imagined, we would be left with an equally vexing problem: explaining the process in reverse. Nothingness has no sentience or agency. It is not a state. It is less than dead. As such, it is nonsensical to think that it could ever produce any form of energy or a single particle. Such a belief defies all understanding of reality. While the current consensus is that the universe had a beginning, and many scientists who hold this view deny the existence of anything outside of the material world, they do not assert that the universe came from actual nothingness. Their only answer is to place their hope in future research. If this seems contradictory, it at least gets us to the next assertion on existence. The belief that the universe has always existed is a form of pantheism, the ancient religion that deifies the material world itself. It is the basis for certain Eastern and indigenous philosophies and is defined by the mindless and eternal cycles of nature. In this view, everything that exists is interconnected. There is no right or wrong, just being. The universe is an abstract force in which one can find harmony if he is able to empty his mind. But one can never understand the universe because it has no sentience, it does not say anything. Rather than trying to comprehend why things happen, the optimal state is a tranquility that is achieved by shutting off rational inquiry. There are no universal explanations for reality. This worldview best describes the modern secularist, who has stopped trying to make sense of the world. While the notion of an eternal universe is at odds with current scientific understanding, many scientists now hold a view that is practically indistinguishable from pantheism. Both believe that life came from nothing more than a random and undirected physical process. Cosmologists and evolutionary biologists have cleverly devised theories to explain the emergence of complexity from nothing more than time plus matter plus chance. They are not dissuaded by the astounding intricacies of life. We now know, for example, that there is more activity in a single human cell at any given moment than in a city the size of New York, and that the human body is believed to contain about 100 trillion cells, all working in elaborate coordination. And this is only what we now know. Researchers acknowledge that there is no known limit to what can be discovered at the molecular level. The smaller they go, the more they find. The same is true at the other end of the spectrum. It is not feasible to grasp the enormity of the universe although researchers do believe it has an end. But the possibility of other universes, or even an infinite number of universes, has not been dismissed. Of course, such speculation is mere imagination at this point in time. But what scientists do know, and will readily acknowledge, is that the chance for life to develop this way defies mathematical probability. And interwoven throughout this improbable existence is the unmistakable element of exquisite and unsearchable design. But materialists, those who believe there is nothing more than a physical universe, have an even bigger problem than improbability: their belief defies their own nature. Anthropologists know that man has always possessed a self-awareness that alienates him from all else in the material world. He desperately seeks meaning beyond his finite existence. This yearning manifests itself in art and religion, the faintest trace of which has never developed in the most advanced primates. Man is qualitatively different, uniquely endowed with an understanding of truth, justice, and beauty that transcends, and is often at odds, with his biological desires. Man seeks answers, to which the materialist responds that there are none. Man is in constant conflict to do what is right, to which the materialist responds that there is no right. They maintain that personal man, who is driven and plagued by conscience, is the product of an impersonal universe that has no conscience. Rather than try to understand his defining characteristic, they reduce him to a chemical process. Love, they insist, is an illusion. Nobody, of course, can maintain this worldview. Those that claim to hold it intellectually violate it in every aspect of their personal lives. And the reality is that it cannot even be held intellectually because if man is just a random chemical process than none of his theories have any validity. Analysis of the process cannot itself be the process. Materialism is a closed system that leaves no place for reason. But this realization at least gets us to the third assertion on existence: that a deity created everything. Belief in various deities defines the human experience. No culture has existed without embracing some aspect of it. This, of course, is a statement that encompasses a wide range of beliefs, most of which have come and gone because they were unsatisfactory for one reason or another. Deities proved too weak or abstract to explain existence. There were good and terrible deities that reflected different aspects of human nature but they were too simple. Man desperately tried to appease his innate desire to venerate his creator through all sorts of ritual and sacrifice, some of which was unspeakably wicked and violent. In stark contrast to this futility and heartache is Judaic revelation, which understands God as the eternal creator who is sovereign, being both omniscient and omnipotent. God is righteous and his attributes never change. He despises wickedness but shows abundant mercy and grace to His fallen creation. He does not demonstrate love but is love, a triune God who made man in His own image. This understanding provides man with a coherent answer to his own existence. It explains his personal character, including his ability to reason, and gives him intrinsic worth. This conception of God brought great spiritual and temporal advances. Simply put, it is the foundation of the West and science and democracy could not exist without it. But how can one prove that Jewish monotheism is not mere human invention? To outside observers it may appear as subjective as the claims made by other religions. The existence of an all-powerful and loving God may seem fanciful in a world of pervasive suffering and death, which Jewish law teaches is the result of man’s willful separation from God. These objections were answered by Jesus Christ, who was God incarnate and whose unspeakable sacrifice and resurrection rectified man’s separation. The historical record of Christ removed the subjective nature of revelation. These are the three possibilities for existence: something came from nothing, the universe has always existed, or a deity created everything. Only the third option proves intellectually coherent and only the Judeo-Christian version is rooted in historical reality. Secularists need to understand this. There is no other alternative. No one even pretends to have one. By rejecting Christ, they are embracing a worldview that, by definition, is devoid of meaning. They can still love their neighbor but must realize that their love has no basis. Without Christianity, there is no charity. Without Christianity, there is no epistemological foundation for knowing anything. Without Christianity, there is no hope. Liberation is the central conceit of the materialist. Ironically, he makes an exclusive claim on freedom and enlightenment by denying the existence of anything outside of the natural world. He maintains that the physical universe is all there is, it came from nothing or has always existed, and there are no limits to understanding or manipulating it. In this worldview man is a paradox. He is the accidental result of a random and undirected physical process over which he has no control but he is also the intellectual center of the universe. His authority supplants all other even though it is no more than the fleeting whirl of atoms. Built on a contradiction, materialism is nonetheless a brashly confident philosophy that has become dominant among the chattering class and in the academy. While it concludes that life is meaningless, this hopelessness is veiled in fearless optimism. Man is the ostensible measure of all things and his purview extends in all directions. This grants him the capacity for great discovery and conquest. In a free society, where he is not busy subjugating his fellow man as he is apt to do, his energies may be devoted to the continuous pursuit of knowledge or pleasure. Unencumbered by a higher authority, this pursuit is only limited by the rules that he imposes on himself. Or so they claim. Try as they might, the materialist is vexed with a desire he cannot shake: the universal desire to worship. Man has always been eager to sacrifice his autonomy to venerate something that he perceives as greater than himself. This desire transcends every race and culture. It is the basis of every civilization. It has survived war, pestilence, prosperity, and modernization. It is even surviving materialism, with its unique insistence that there are no gods. This innate need makes man qualitatively different from the animals. As Chesterton observes, the most advanced primates did not draw pictures of other primates or build temples to deities. But the most primitive men did. The development of art and religion is not traced gradually down through the ages. They appeared suddenly and cannot be explained by anything that came beforehand. Materialists attempt to explain religion away with various theories. Some say it is merely our tribal instinct. We invent supernatural lawgivers to better govern our earthly affairs. Abiding by these proven rules ensures a more peaceful environment. Some say it is superstition arising from our survival mechanism. We subconsciously invent causes for why things happen to better adapt to our environment. Many of these causes are irrational. Some materialists are simply dismissive, predicting that religion will cease to exist once it is eliminated by natural selection. Amidst all of these theories, one thing is certain: religion has always been and remains the center of man’s existence. As Western elites embrace secularism, Christianity is rapidly spreading in the developing world, even (or perhaps especially) in places where the church faces deadly persecution. Billions profess faith in Christ. In addition, Islam boasts of more than a billion followers while vast numbers of others practice a variety of faiths. Atheism has always been exceedingly rare or, as a scientist would say, statistically insignificant. It has a disproportionate influence today only because it is fashionable with the elite. Despite their protests, however, materialists themselves have proven incapable of sustaining their non-belief. For centuries, preachers have warned their parishioners about the dangers of placing objects or ambitions ahead of Christ. Material things can easily become the focus of one’s life and enslave the beholder. In the modern West, these dangers are not wooden idols but expensive amusements or achievement itself. The importance of putting these things in their proper context has been vindicated time and again. The tragedies of the rich and famous, who destroy themselves on indulgence, dramatically illustrate the point. But the love of mammon should not be confused with the darker practices that ensnare the secular world. Yearning for meaning, materialists have sought solace in all sorts of cults. Sociologists have found that self-professed non-believers are actually the most likely to embrace superstition and the occult. For much of the twentieth century, communism and fascism were the two dominant ideologies that attempted to fill the void of secularism. Both sought to perfect man by remaking humanity and both became political movements led by cult figures who demanded total obedience. Their attempts to transcend our fallen world and establish perfection led to an unprecedented genocide. More than 100 million people were sacrificed to obtain a utopia that did not exist. The whitewashing of these atrocities by academia is itself an atrocity. But despite relentless efforts to suppress the memory of what occurred, enough of the carnage is remembered to discourage the promotion of these ideologies, at least in the West. Many former communists and fascists have turned to other devotions. In their search for meaning, environmentalism has emerged as a popular dogma. Described as merely a healthy desire to be good stewards of natural resources, philosophical environmentalism is actually a form of pantheism, the ancient heresy that puts the created in the place of the creator. The earth is seen as a deity that demands our adoration and sacrifice. Many environmentalists lament modernization and the exponential increase in population that has accompanied it. There were roughly one billion people in the world in 1800. Today there are almost seven billion. They see this development through a Malthusian lens, fretting that such growth cannot be sustained. For generations they have warned of imminent catastrophe resulting in overpopulation: there will not be enough food to eat and water to drink and few will have a decent quality of life. In his celebrated polemic, “The Population Bomb,” Paul Ehrlich famously predicted that “The battle to feed humanity is over. In the 1970s, the world will undergo famines. Hundreds of millions of people are going to starve to death in spite of any crash programs embarked upon now. Population control is the only answer.” His dire prediction and dozens of others have been proven false, time and again. Yet environmentalists continue to seek dramatic reductions in world population. A prominent environmentalist once told me that his parents made a foolish mistake by having two children. He and his colleagues view children as a selfish indulgence and lead an effort to increase sterilizations and abortions, particularly in the developing world where there are fewer restrictions on such practices. Another environmentalist I knew killed himself, concluding that he should not be taking resources from the earth. These people are not just a handful of lunatics. They are part of the movement's intellectual foundation, which rejects the notion that man has preeminence over nature. Driven by this belief, they relentlessly seek to limit the human footprint through propaganda and coercion. Their campaign against global warming has persuaded governments and institutions worldwide even though it is based on a relatively tiny amount of unreliable and inconclusive data. Scores of independent scientists have shown the error in extrapolating such dire scenarios from the scant evidence that exists. Even some within the movement have acknowledged that the case for man-made climate change is tenuous. But that has not stopped them from using it to advance their goals. Through national and supranational entities, which instinctively crave power, they work to enact policies designed to curtail industrialization. A recent United Nations document would confer special rights on “mother earth” that could be defended in courts of law. To the extent that such efforts have had an effect, they have brought tragedy, particularly for people in the developing world who benefit most from advances in agriculture, medicine, and sanitation. They have resulted in the spread of preventable diseases, brought untimely deaths, and reduced the quality of life of millions of people. Like the useful idiots who sympathized with communism, millions support these goals of environmentalism. Like previous generations, they have been deceived by the fashionable dictates of the age. Materialists, the self-proclaimed defenders of freedom and enlightenment, have been most susceptible to this latest heresy. This is because they reject the intrinsic worth of the individual. They insist that man is the measure of all things but their worldview holds that he is the result of chance, a finite being with no more value than a tree or a rock. In their desperation for meaning they have latched on to the worship of nature, which has shocking similarities to the child-sacrificing idol worship practiced by the ancient Semitic peoples. The commandments given to the Israelites stood in stark and refreshing contrast to this barbarism and laid the groundwork for the one who came so that all may have life, and have it more abundantly.